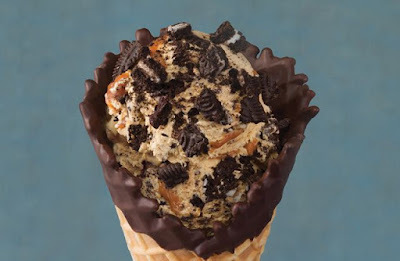 Baskin-Robbins introduces new Oreo 'n Caramel ice cream as the Flavor of the Month for April 2019. 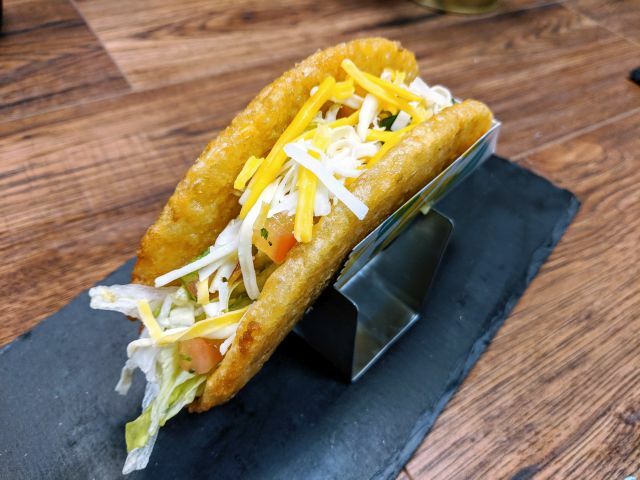 They also offer the $1 "Make It Amazing" option for the month. 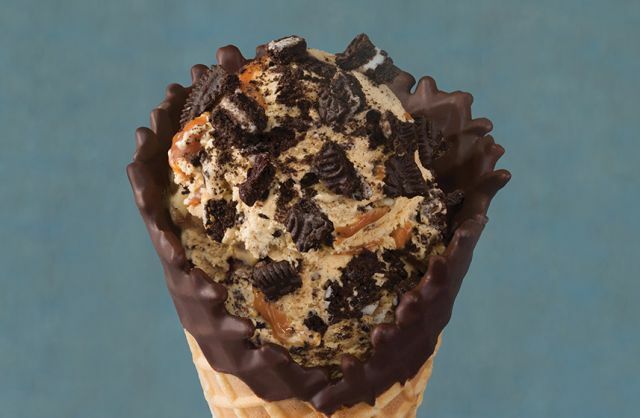 Oreo 'n Caramel features salty caramel ice cream, Oreo cookie pieces, and a caramel ribbon. The "Make It Amazing" option is a promotional cone upgrade that lets you switch from a plain waffle cone to a specialty cone and get a dry topping of your choice for a $1 charge. Finally, Baskin-Robbins roll outs a pair of ice cream cakes for Easter: the Bunny Face Cake and the Speckled Egg Cake.